Love love your layout! Fantastic job Veronica!!! OMGoodness!!!!! How adorably cute!!!!!! I love your LO! This is adorable! I love the little cow pokes! Incredible layout. I love the papers you have used. Thanks for hopping along with me and the gals! Very cute layout and I love that you used one of the stamps that is being given away. you rocked it! this is just fantastic! I love, love, love it! good luck with your challenges! Those stamps are really darling as is your lovely LO - TFS! Adorable layout! Love be the stamps. 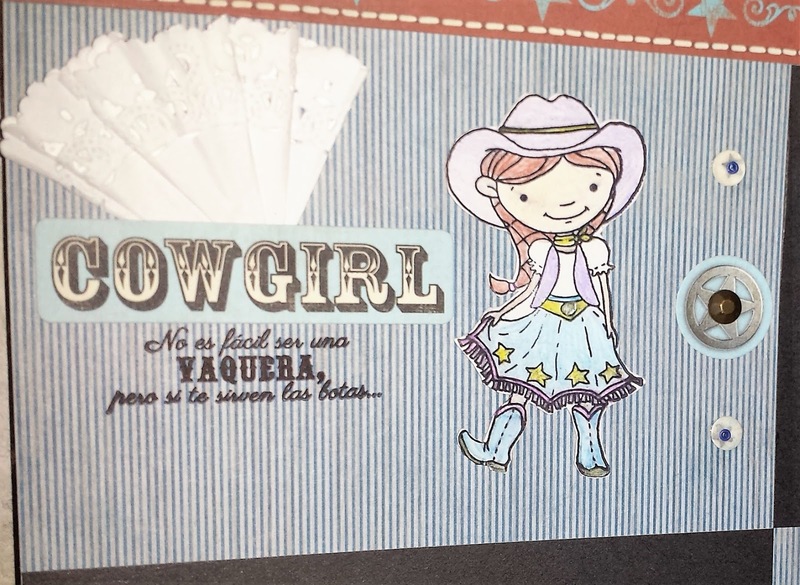 This is such a cute layout and love the stamps! Thanks so much for joining us this week at Use Your Stuff! 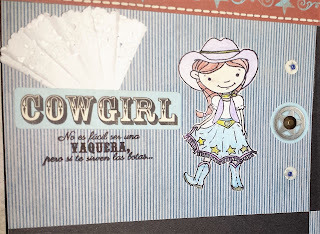 Cute layout and even cuter stamps! 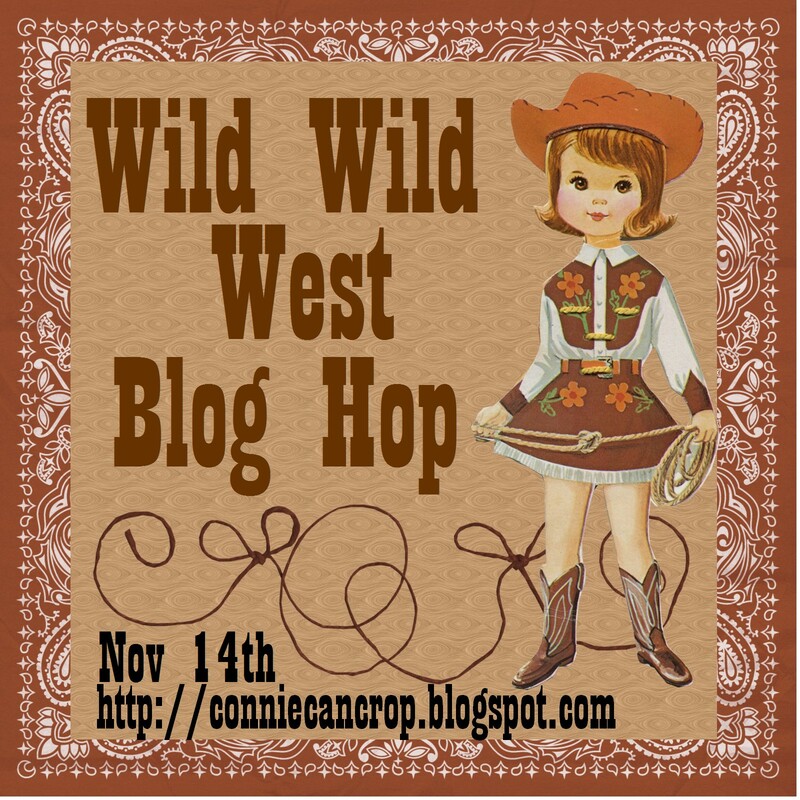 Thanks for sharing with us at H2H! Great use of your old product!!! Your layout turned out super cute!! 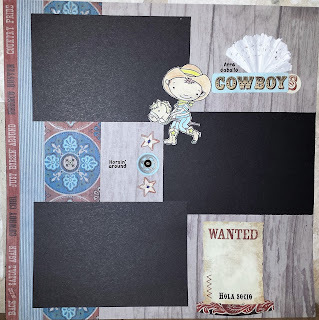 Thanks for playing along with us this week at the Use Your Stuff Challenge Blog!! 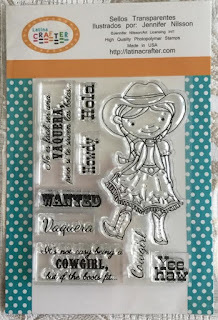 I love the cowboy and cowgirl stamps! They are so great I love your little boy and girl! 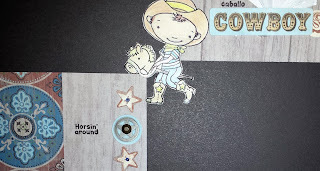 This is super cute and as a fellow bilingual parent I absolutely love the stamps you have used! Thanks for joining us at H2H. AHHH Dakota, I loved Dakota! I love your layout, the colours are great and that stamp of the little cow girl is just so sweet! Thanks for playing along with Heart 2 Heart Challenges (H2H)! 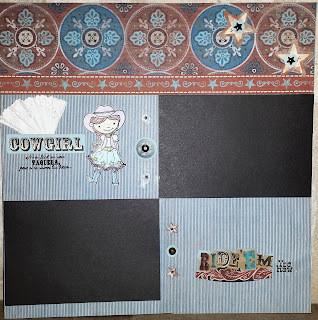 So sweet - just LOVE how you have used the stamps! Thanks for playing along with us at Another Freaking Scrappy Challenge - hope to see you here again soon!! !